To apply for the Isobel Lodge Award, enter the Scottish Arts Club Short Story Competition and tick relevant box on the entry form. There is no additional charge. Stories entered by writers who apply for the Isobel Lodge Award, will also be considered for the international prize of £1000. If you are an unpublished writer born, living or studying in Scotland you may enter both competitions at the same time with the same story for no additional fee. As with the main competition, stories entered for the Isobel Lodge Award may be on any topic and should be 2000 words or less. Writers may enter as many stories as they wish. The selection of the winning story will be by a panel of experienced readers along with Trustees of the Isobel Lodge Memorial Fund. …means that the writer has never had a book-length work of fiction or short fictional story purchased by a commercial publisher or magazine. If you have not been paid for a work of fiction that has been published online or in print you can qualify for the Isobel Lodge Award. Writers may still qualify for the Isobel Lodge New Scottish Writer Award if they have self-published a work of fiction. Authors of commercially published non-fiction may also submit stories for the Isobel Lodge Award. 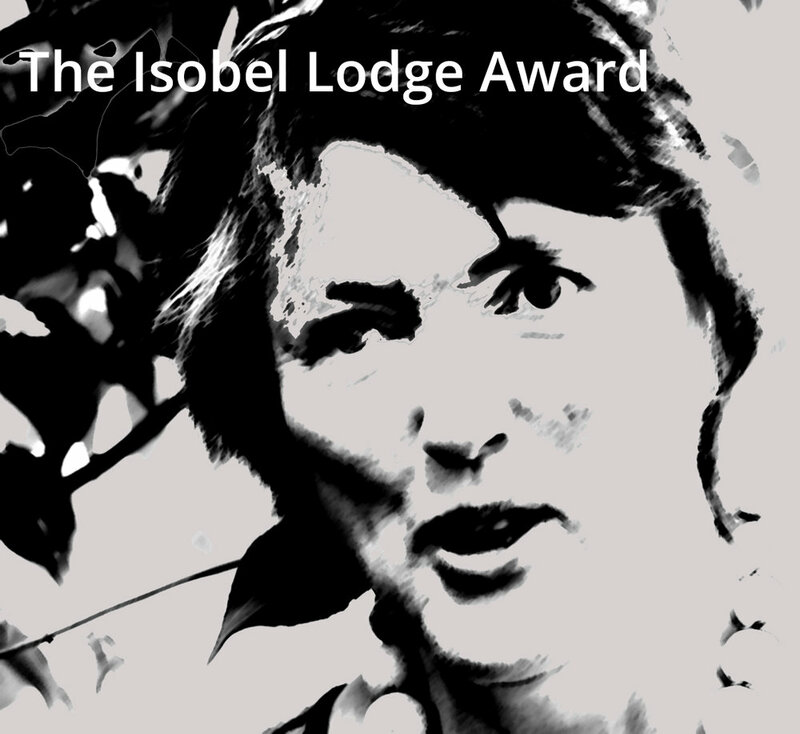 If you have won a cash prize in a competition that included online or print publication you should not apply for the Isobel Lodge Award. Rosalka: The Silkie Woman and other stories, plays and poetry’ by Isobel Lodge (Scottish Arts Club Charitable Trust, 2018) available in print (£5.00) or kindle (£2.50) editions. Buy the print edition and get the Kindle edition free. Contributions to the Isobel Lodge Fund for New Scottish Writing will help to expand the reach of the award throughout Scotland. Funds will be used to encourge more new Scottish writers to pick up a pen, hit the keys, pour out their imaginations and to build confidence to share their work. Isobel Lodge (1947-2016) was born in Thurso on the far north-east coast of Scotland. She was schooled at Hamilton and Forres Academies and took a degree at Aberdeen University, where she studied History, English, Greek, and Moral Philosophy. At Southport she studied children’s theatre, and she would bring her talents as an actress and a writer/director to many drama clubs for children and to local Christmas pantomimes in Edinburgh. Isobel wrote and directed with great charm, humour and invention, and often also starred. She was charismatic, larger than life, never happier than when performing, and wholly unafraid to sing, dance, and to appear as a bird, a plant, a man, the wicked Snow Queen, or the virtuous Betty Bee II. She worked as a social worker in Edinburgh for 30 years, where she used her talents as a storyteller to help neglected and abused children understand the processes they were going through and to feel confident enough to share their stories with others. In her free time she loved to go out, to the theatre, the cinema, the Book Festival, concerts, the opera, art exhibitions, lectures, the ballet. It would be difficult to find anyone as passionate about the arts as she was and as open to their multiple forms and experiences. She was not so much a culture vulture as a culture swan; the arts were her element and she swam in them, drank them in, was inseparable from them. In childhood she had filled the draughty old manses where she lived with stories of her own invention. In retirement, she took up the pen again and began writing short stories and poetry; she became an active member of the Scottish Arts Club and joined its writers’ group. She was particularly gifted in atmospheric, descriptive scene-setting and in writing pithy dialogue. Tragically, just as she was gaining confidence in her abilities and writing more often, she suffered the kind of sudden and dramatic ending that cannot be rewritten. Her family and friends set up a memorial fund in her honour; this champions new Scottish writing with an annual short story award. It is a fitting tribute to a vibrant, creative woman who had several hundred friends and who, through the award that bears her name, continues to befriend, to encourage, and support new writing talent.